Bid on your favorite object and buy a limited edition design piece AND support the kids at Love School! 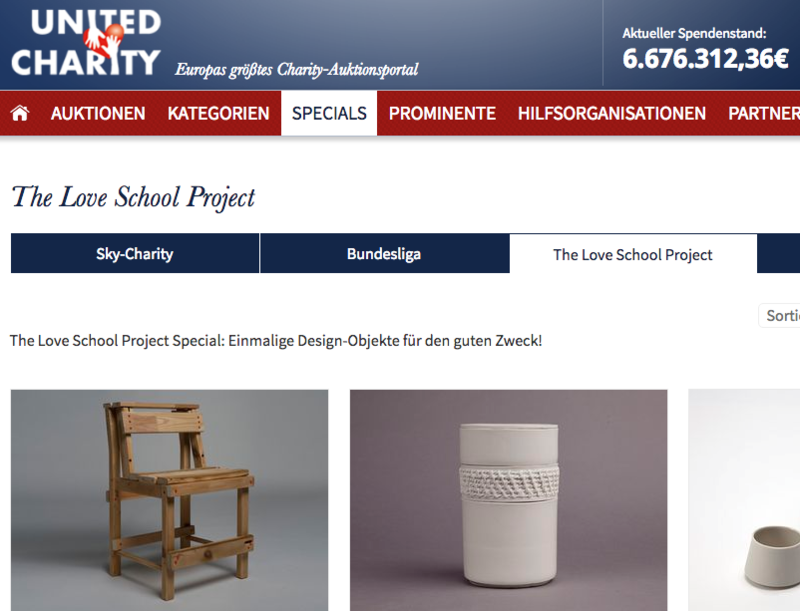 Thanks to the team of United Charity for offering us a special on their website. The money will go to our partner Nyendo and will be spent without overhead directly for the kids: books, food, school supplies. Susanne Stauch is an accomplished goldsmith, product and interface designer who effortlessly switches from 2D to 3D, from digital to tactile design forms.